Darren Sammy has agreed a short-term deal with Nottinghamshire to play in this season's NatWest T20 Blast. 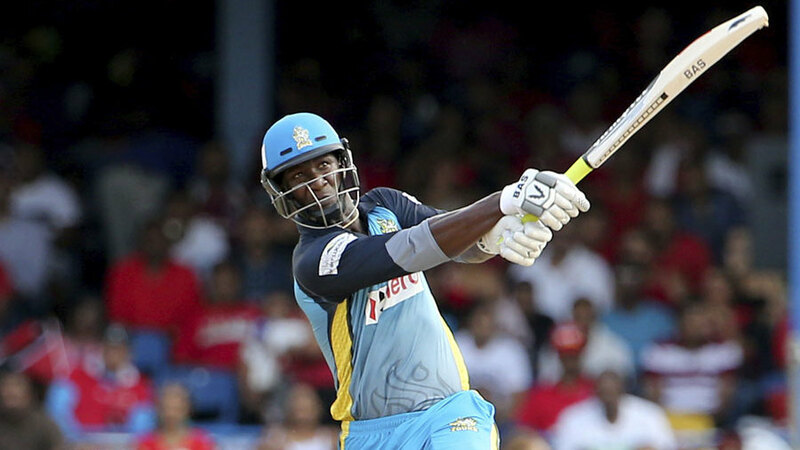 Sammy, West Indies' T20 captain, will fly in for a brief spell at Trent Bridge between stints in the IPL and CPL, a sign of the difficulties counties face in fitting overseas signings into the jigsaw of international commitments and T20 franchise leagues. Nottinghamshire already have Vernon Philander on board for the first two months of the season, after which Ben Hilfenhaus will take over. Sammy will fill the second overseas slot during a two-week period in which Notts play four Blast matches, from May 31 to June 12. He could also return for the knockouts, if Notts qualify. England's schedule is likely to deprive Nottinghamshire of two of their key limited-overs performers in June, when five ODIs and a T20 are scheduled against New Zealand, and Mick Newell, the county's director of cricket, believes Sammy can help plug the gap. "We've got to look at the summer in terms of where and when we might lose players to international cricket," Newell said. "There's a period in June where we could lose James Taylor and Alex Hales to international cricket and therefore we need to strengthen up the team at that time. "It's a gap between the IPL and the Caribbean Premier League where Darren was available and keen to play. He's an explosive Twenty20 player, with a reputation around the world for being a good player and a good bloke. We're looking forward to welcoming him to the team and hope he can help us achieve a good season in the NatWest T20 Blast." Sammy is one of the most powerful lower-order strikers in the game, scoring at 152.99 in T20 internationals while chipping in with his medium-pace bowling. He made his only Test century at Trent Bridge on West Indies' tour of 2012, a time when he was captain in all three formats. He was bought for £300,000 by Royal Challengers Bangalore in this year's IPL auction and will captain St Lucia Zouks in the CPL. Last year, he played six matches for Glamorgan in the Blast. "I'm looking forward to coming to England and experiencing T20 cricket with Nottinghamshire," Sammy said. "The Outlaws have a reputation for playing exciting cricket and have some hugely talented players. Trent Bridge is an excellent venue known worldwide, with great crowds, and I can't wait to get started." Nottinghamshire will hope to have Michael Lumb back in action by the time Sammy arrives. Lumb, the former England opener, needed surgery on a torn tendon in his arm after sustaining the injury while playing in the Big Bash and is expected to miss at least the first month of the domestic season.